In my previous post, “Increased efficiency from multiple user access to a single simulation, “ I highlighted how there is a new paradigm for process simulation that allows multiple global users to collaborate at the same time on the same simulation within SimCentral. This leads to brand new paradigm in Front End Engineering Design (FEED) process. At Schneider Electric we are calling this new paradigm “Simulation Driven Design.” This new FEED process uses the actual process simulation as the repository for all of the design information and utilizes the collaboration capability to enable multiple engineering departments to work on their part of the simulation when they need to. 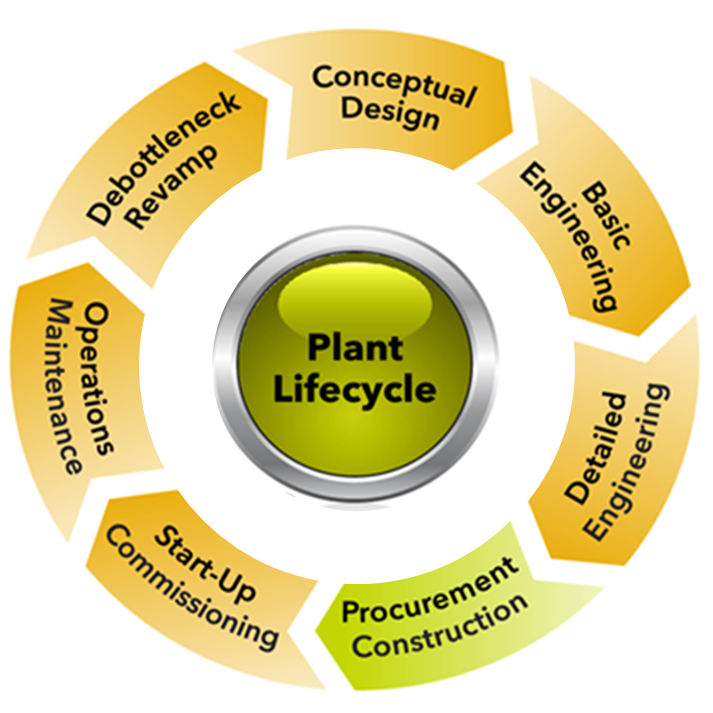 The typical FEED process follows the plant lifecycle below in Figure 1. The only problem is that currently each major step in the plant lifecycle uses a separate modeling tool. For instance, the conceptual design & basic engineering phases would use a steady-state simulator. Detailed engineering and start-up commissioning would typically utilize a dynamic simulator. Finally, once the plant is up and running, real-time optimization software would be used for the operations maintenance phase before utilizing steady-state and dynamic simulation tools to debottleneck/revamp the process as needed. That is a lot of different tools on which you have to train your team and coordinate results. Now there is a new and better way to think about the FEED process. The new paradigm uses a single simulation platform, SimSci SimCentral in this case, as a single common point for the entire FEED process. With SimCentral the “Process” mode performs heat and material balances for equipment sizing; the “Fluid Flow” mode performs steady state network analysis and equipment rating; while the “Dynamics” mode performs transient analysis. 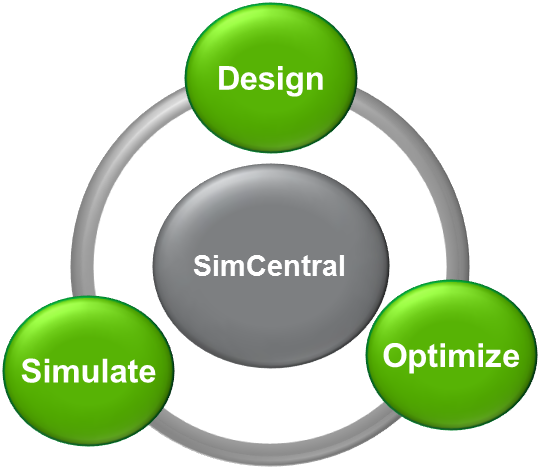 In the future, the SimCentral platform will include Operator Training, Control System Check-ou t, and Optimization, but SimCentral already greatly reduces the amount of software tools that you have to use in the FEED process. Running a business often comes down to the bottom line, profitability. SimCentral allows the entire business to be more profitable by simplifying and streamlining the FEED process by reducing the different engineering tools required and their related learning curves, as well as efficiently leveraging your global engineering resources with enhanced collaboration. The future of advanced process control and process design is appearing before our eyes with “Simulation Driven Design.” It is time to embrace this new paradigm so that we can leverage all our engineering resources, regardless of where they are in the world. Thanks for mentioning how design and both basic and detailed engineering are all part of the process. I like how you said that there are a lot of tools that you could use when dealing with process engineering. If someone was looking into getting process engineering software, I would assume that they would keep this post in mind. Increased efficiency from multiple user access to a single simulation Simulation in the Cloud Winning with a Straight Flush in Poker: Plant-Wide Scenario-Based Simulation Training What Good is the Eiffel Tower in the Middle of Your Refinery?